Carla Barger lives an art-committed life and takes the question How shall I live? very seriously. 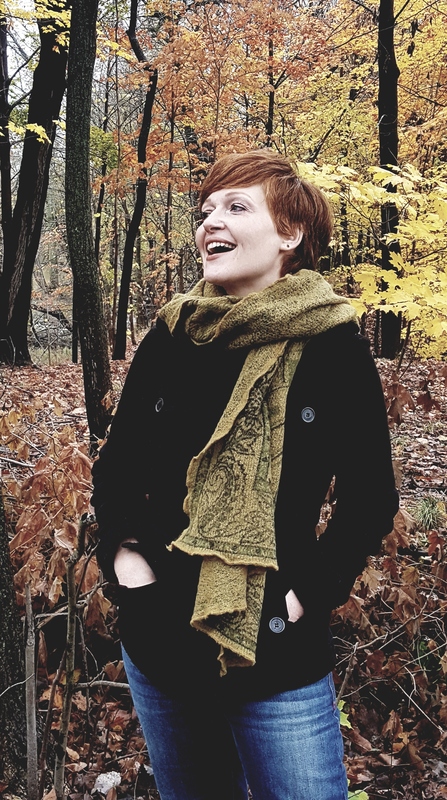 She holds an MFA in Writing from the School of the Art Institute of Chicago and is a PhD student and teaching assistant in the creative writing program at SUNY Binghamton. Her work has appeared in several literary journals, photography books, art gallery catalogs, and elsewhere. Carla is a poet and hybrid lyric essayist. Her work explores place and landscape, self-awareness, family and class dynamics, and the divided self. She also writes ekphrasis and sometimes collaborates with visual artists and other writers on various types of projects. Her research interests include hybridity, ecopoetics, class, folklore of the supernatural, and the Gothic pastoral as well as the places and ways these areas intersect both in literature and in TV and film. She also has a strong interest in the Brontes, Wuthering Heights in particular. Carla is also a former freelance editor and academic administrator. To learn more about Carla’s career background, go here or here. She currently splits her time between Binghamton, NY, and Oak Park, IL. Our goals are simple...to foster friendship, motivate each other toward fitness, and have fun along the way!